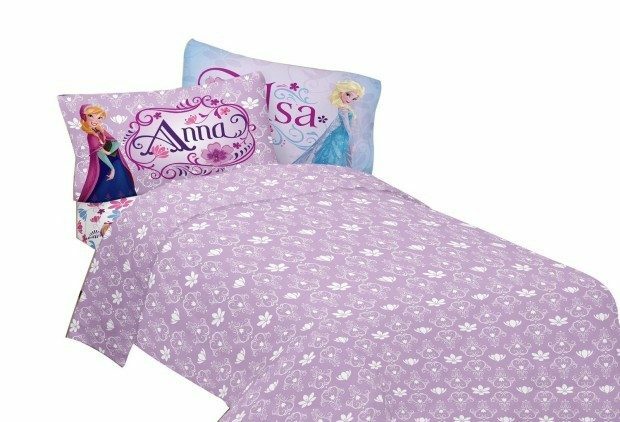 Disney Frozen Celebrate Love Sheet Set Just $15.67! Down From $50! You are here: Home / Great Deals / Amazon Deals / Disney Frozen Celebrate Love Sheet Set Just $15.67! Down From $50! Right now you can make a Frozen fan’s dream com true! This Disney Frozen Celebrate Love Sheet Set is on sale right now for just $15.67 down from $50! That’s a great deal! I remember when I was young my parents redecorated my room and painted my walls pink and I loved it. We had to move away for many years and I was 14 when we returned, my walls were painted white. I was so disappointed. But, for my 16th birthday they redecorated my room and painted my walls back pink! I was thrilled (even though they removed all my giant movie posters)!